rejoices whenever a sinner returns to him. you bring our petitions to Jesus. Amen. our glorious destination in heaven. Amen. 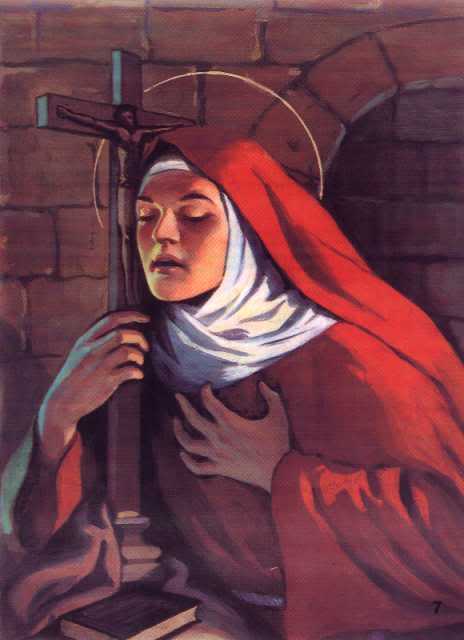 (3) St. Margaret of Cortona, pray for us. may always sing God’s glory. Amen. you after you embarked on a life of penance. before people noticed that you were a saint. aware of the praises people heaped on you. the joy of his Kingdom. Amen. anticipate the joy of heaven on earth. Amen. into the hearts of many because of this virtue. among our brothers and sisters. Amen. will lead people to sin, to think of impurity. feared for your life. But you lived long enough. enthusiasm be with us. Amen.